The Joker - Fancy Dress Party Ideas! The Joker typically wears extremely bright clothing in addition to really sloppy clown makeup. Most people will recognise the bright purple suit jacket if you wear that to a fancy dress party. However, other types of bright or loud clothing could also work. 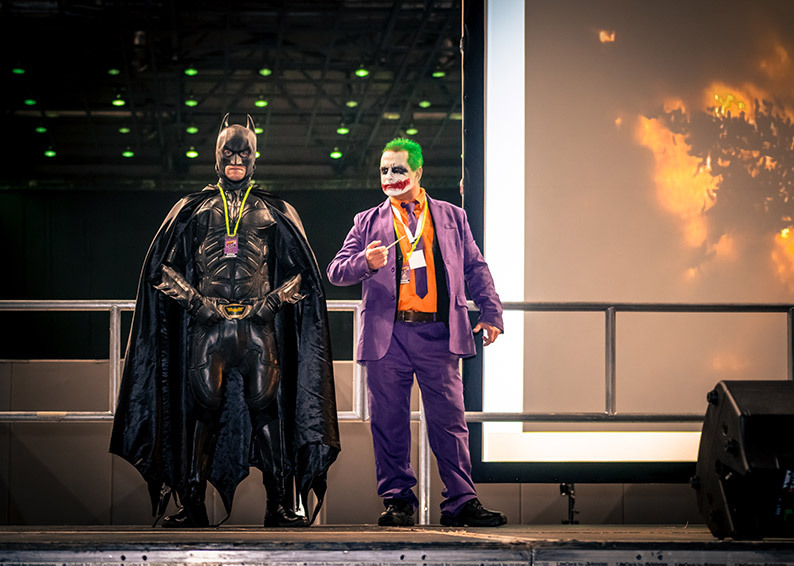 The Joker has an extremely expressive personality that is revealed in his darkly outlandish style, and you need to incorporate that into the costume where you can. There are lots of places that sell packaged Joker costumes and you can even pick them up quite cheaply on Amazon. However, it’s always impressive if you manage to make your own! Wearing almost any over-sized jacket and some messy clown makeup can work as a makeshift Joker costume. Wearing a somewhat long and messy wig is enough to seal the deal, especially given the look of many of the different modern interpretations of the Joker these days.